Heartland Paralegal Association was honored to present Johnson County Community College and National American University each a $500.00 scholarship to support students pursuing a course of study in paralegal education. 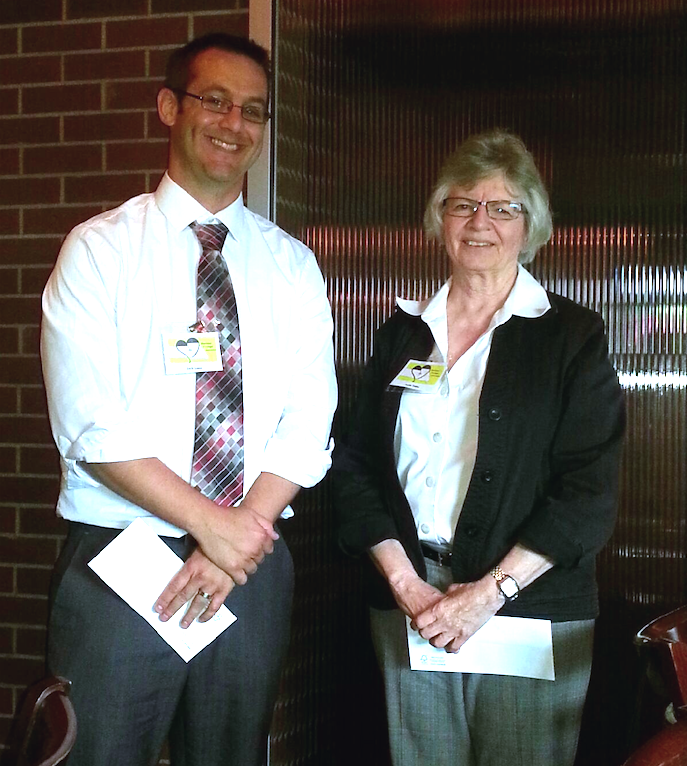 Anita Tebbe (JCCC) and Zach Luea (NAU) were on hand at last night's monthly membership meeting at Gordon Biersch to accept the scholarships. A two-person team from the ABA Approval Commission visited Johnson County Community College on April 21, 2014 to validate an extensive self-evaluation report submitted by JCCC in its request for re-approval of its Paralegal Studies Program. After a day of meetings with JCCC leaders, faculty, current students, and alumni, Anita Tebbe, Paralegal Program Director, received news that the Commission recommends re-approval for another 7 years. The recommendation will be sent to the ABA Standing Committee on Paralegals, and ultimately to the ABA House of Delegates for the final stamp of approval. Johnson County Community College’s Paralegal Studies Program, then under the leadership of Mike Pener, received its original ABA approval in 1980. Since that time, JCCC has consistently met ABA Guidelines aimed at fostering high quality paralegal education and training. For more information on the ABA’s Standing Committee on Paralegals or the ABA Approval Commission, visit the ABA website. Based on the recommendations of our members, HPA is working to provide a more comprehensive website, including online event registration and member directory. Our goal is keep members connected and engaged by putting everything you need right at your fingertips. Your feedback as we test this new system is appreciated. Please use this blog to post or comment regarding relevant legal-related news stories and HPA happenings. Currently submissions require pre-approval by the website administrators. If you would like to submit an article to be included on the blog or in the HPA Headnotes Newsletter, please email it to the website editor. HPA reserves the right to reject articles which it deems inappropriate. If you are submitting an article for reprint, please identify the original author so that permission may be obtained. By submitting an article for publication you certify that you have authority to do so.